Horror movies have many scenes that stick in our minds. On occasion, those moments can be the very first scene of the film. For October, we are diving into four of my favorite opening scenes that ended up launching a franchise. Last week, we examined Tina's dream in A Nightmare on Elm Street where we see Freddy Kruger building his weapon of choice, followed by the realization that maybe it is more than a dream. 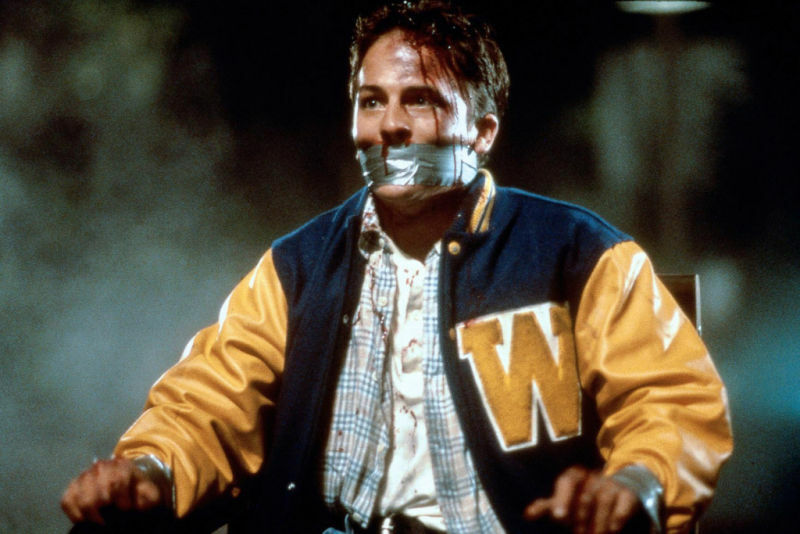 This week, we are shifting focus to the another Wes Craven film. The man was good at crafting opening scenes. This time, however, it was not only the horror premise, but the death that shocked many of us in 1996 (note: this post contains spoilers). This might be a "you had to be there to understand" thing, but it is pretty simple to explain. When an actress's face is used to market and promote a horror film, the audience does not expect her to to be the first onscreen kill. From the moment Casey Becker (Drew Barrymore) dismisses a phone call as a wrong number to when her mother hears her muffled voice on the end of the landline, you really have expectations that Drew... I mean Casey, will survive her first encounter with Ghost Face. We knew her boyfriend Steve (Kevin Patrick Walls) had zero chance - sorry, Steve), but Casey, on the other hand, was played by an actress we grew up with. Added with the fact her character is a bit of a fighter, her death is shocking. Casey locks the doors, turns off the lights, grabs a knife, and is steathier than most when it comes to planning her escape, all aspects the audience does not expect with a horror films first victims. The tone of the first scene is also interesting to note. There is humor, flirtation that quickly turns into a dark and twisted game surrounding the theme of horror movies that is carried throughout the film (Randy's obsession with the rules, Sydney's commentary of why she hates horror movies, Tatum's reference to Wes Carpenter - homage to Wes Craven and John Carpenter). The killer also shows his cards; he likes to toy with his victims as if it is a game or a movie. He makes Casey comfortable on the phone then shocks her and then ramps up the threat (the popcorn Casey is making is a timer that shows the elevation from normal to chaotic). It is a brilliant scene and as noted by its inclusion in this series, it launched a franchise. Four movies to date, and recently a television series. The video embedded below cuts the scenes into three parts, which will allow you to see a little or the whole opening scene. Scream is a horror film that knows how to provide scares as well as poke fun at the genre as a whole and its opening scene sets the tone perfectly.